1. Those who have read it. 2. Those who pretend to have read it. 3. Those who keep saying they’re going to read it, but never do. Hats off to the first camp, but we can’t really blame those from camps two and three. After all, classic novels can often seem pretty formidable, not least because they’re often rather long. War and Peace is over 1,400 pages, Don Quixote is close to 1000, and James Joyce’s Ulysses, while not quite as long, is still, well, Ulysses. 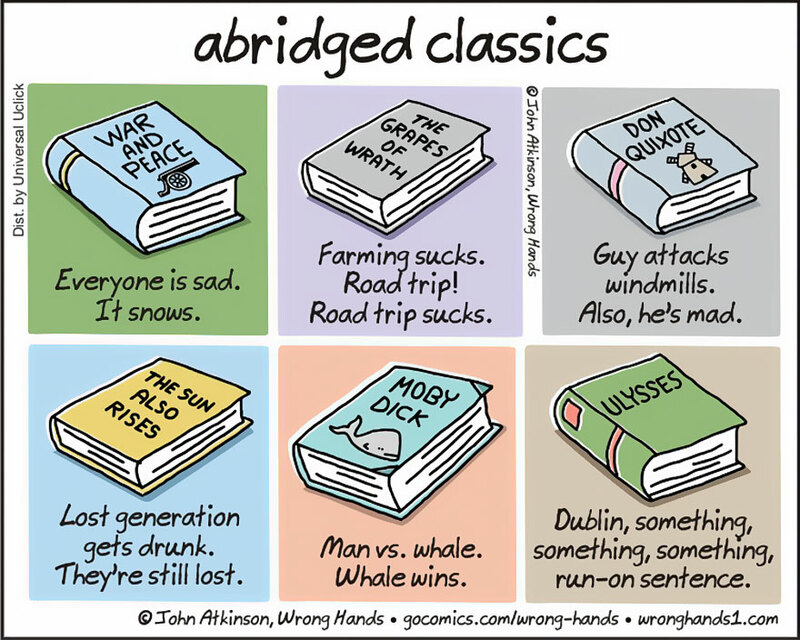 But thanks to Cartoonist John Atkinson, such literary behemoths need no longer be intimidating because he’s kindly reduced them all to just a handful of words in these funny illustrations below. Now you too can pretend to have read the greats! But beware, spoilers lie ahead! John told that he’s planning on doing at least one more in the series, but he hasn’t decided which books to include yet. 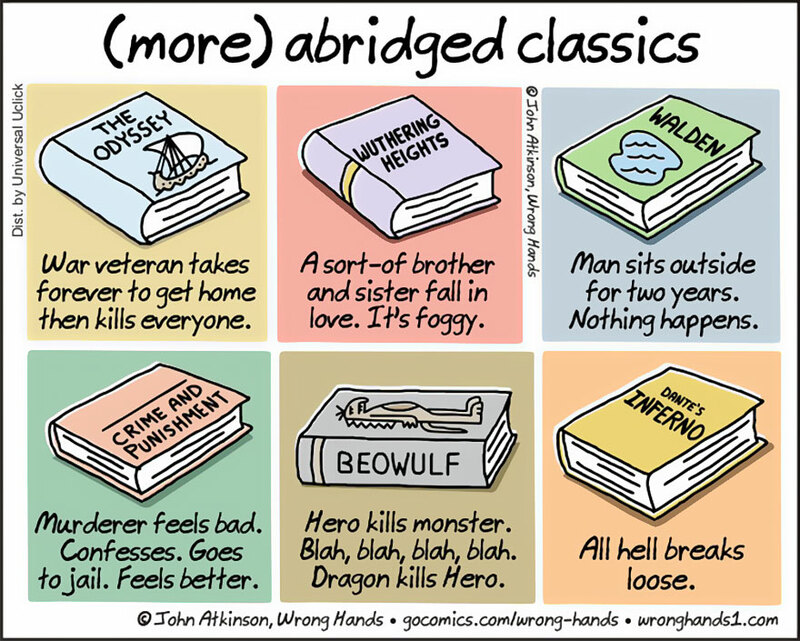 So if you can think of any classics that you’d like to see condensed then drop your suggestions into the comments section below!